I absolutely slacked off yesterday. Completely. I stayed in bed in the morning as a result of allowing myself to stay up late for football. So yes, I felt like a slacker. However, I knew it was not something that was going to last, and packed up my running clothes for lunchtime. Because I was running in the afternoon (during the school day) the track would not be available. So I made the decision to swap my track workout with my tempo workout (which is scheduled for Thursday), so I didn't need the track. 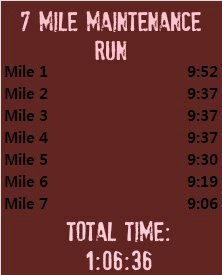 The tempo workout on tap for this week was 2 miles warmup, 4 miles at threshold pace (8:33), and then a mile and a half cooldown (which turned into 2 miles for me!). I would say I nailed it. Look at those 4 maintenance miles... 3 of them nailing the exact same pace! I am so pleased that I am becoming a stronger pacer. It is like I am starting to learn what different paces feel like, and I am getting to the point where they are more maintainable. 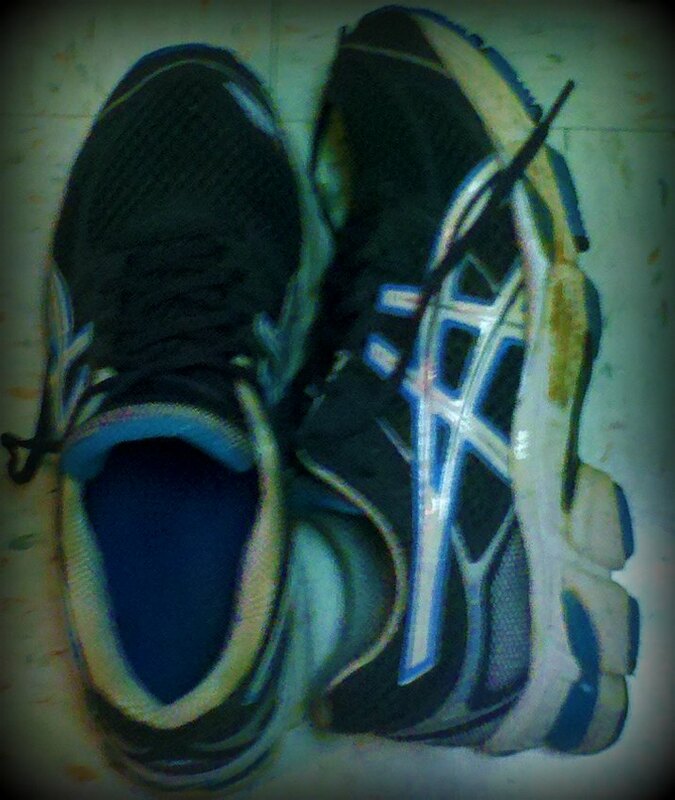 RIP to my beautiful second pair of asics cumulus 13s. You were a great running partner after the Flying Pig (that was when I started wearing them, right after the Pig!) I bought these shoes at the Glass City Marathon expo, right before I PRd my half marathon (and ran under 2 hours, which was my goal!). They were different colors of the exact same shoes that I had been training in since the first of the year, so I figured they were worth purchasing. The 14s had been released already, so I think that is why they had them for $70 instead of $110. So since I have made the decision that the Newton's are for 6 miles or less (and speed work) I busted out the next pair of cumulus that I had stored up. They are the same as the ones that I wore for the Pig! They have the same colors and everything with this pair! So I wore them out for my 7 miler today. As much as I wanted to tack another 7 miles on to the dark ones, I figured I better get this pair ready for a 20 miler this weekend! 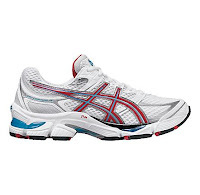 So I tackled my 7 miler in these. They'll be ready for the weekend, and I have at least one run (maybe 2?) planned for the Gravity's over the next two days. We shall see. I love those shoes, but they just would probably not work out too well for me in the long run department. I become a major heel striker when I am tired (as evidenced in my Flying Pig finishing photos) so that could lead to some injury! So the first run in the new shoes was successful. 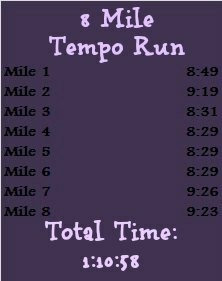 This run also lets me know that I am getting better at running by feel. I never looked at my watch, even when it beeped. I wore it, because I like to have that record and I like to look at it now, when I am checking to see how I did on the run. I like looking at it and seeing the decreasing pace with each mile. I think that is a good sign. Are you sad when you retire your shoes? #BourbonChase2012 - It Starts Tomorrow! Negativity, Cuteness, and the BUCKS!